Upgrade your brain! 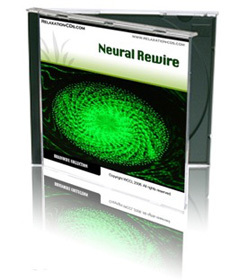 Using frequencies and techniques known to assist in creating and repairing neural pathways in the brain, this amazing CD helps develop whole-brain thinking and promotes both long- and short-term memory retention and recall. The CD begins with gently relaxing music, designed to calm your mind and relax your body. Then listen as soft music and brainwave tones combine to generate the special frequencies that help your brain develop and repair itself. Afterwards you’ll feel relaxed and renewed, ready to face whatever challenges life has in store for you. And any time in future you need another ‘neural rewire’, this remarkable CD will be on hand to perform the necessary upgrade!